Hooray! It is finally starting to feel like November and I couldn’t be more thrilled! Although I am not a huge fan of the cold, there is definitely some excitement to be found in the beginning of November and the start of the holiday season. While I am not into listening to Christmas music before Thanksgiving, I can’t deny my excitement when I walk into a decked out department store full of lights and displays! In celebration of all of your holiday needs, for the next six weeks or so, I will be sharing my favorite healthy, family-style dishes as well as tips for keeping you slim, all season long! 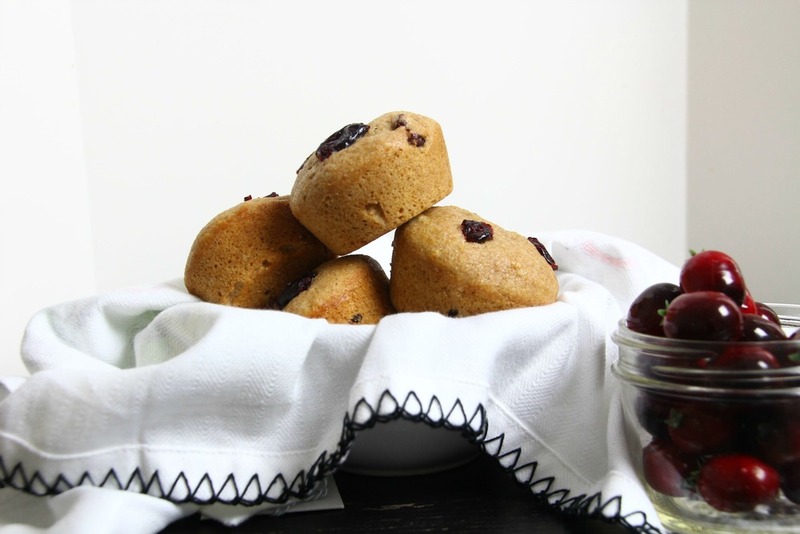 Today, I am sharing my recipe for my Guilt-Free Cranberry Orange Muffins. These muffins are dairy and egg-free as well as low-fat! They are super easy to make and are the perfect treat throughout the months of November and December. In addition, they are packed with two of my favorite winter fruits: navel oranges and cranberries! Both oranges are cranberries are packed with nutrient dense goodness! Did you know that just one oranges contain 93% of your daily need of vitamin C?? In addition, oranges are praised for their ability to support the immune system, protect against cardiovascular disease, lower cholesterol, prevent kidney stones, protect respiratory health and protect against rheumatoid arthritis. Cranberries on the other hand, are loaded with antioxidants and have been found to help protect and heal urinary tract infections, aid the digestive tract, support the immune system and reduce inflammation in the body. + Preheat the oven to 350 degrees F. Lightly grease or spray a muffin tin with oil. + Place the flour, sugar, baking powder and salt into a medium size bowl and mix. Add the coconut oil, orange juice and zest and stir until all ingredients are blended. Add in the craisins and mix well. + Spoon the dough into 6 muffin tins. Cook for 20-23 minutes or until the edges are lightly browned.